The annealing process is performed on plastics to remove stress that could potentially result in cracking, wearing, poor chemical resistance, or degradation of the performance of the material. Stress can be caused by any process that intrudes heat to a plastic. Since plastics are poor conductors, rapidly heating and then cooling the material is stress-inducing. Mechanical processes like molding, casting, extrusion, cutting, drilling, and more can cause stress to plastics. Using annealing on machined plastic helps to ensure dimensional stability over time. Depending on the type of plastic, the temperature and time spent in the annealing process differs. Different plastic materials experience softening at different temperatures, so it’s important to customize the process. The parts are analyzed beforehand to determine the best process for the specific material. In addition to the temperature and cycle time, we also determine when annealing should occur. Depending on the application, the process can happen before or after machining and finishing. The racking system for the plastic part is also customized to meet the application needs. Once the right process is determined, the material is heated slowly to the temperature just below the specific plastic’s softening point. Once the specified temperature is reached, it is held for a specified amount of time depending on material and thickness, the temperature is then lowered slowly over time until the part reaches room temperature. 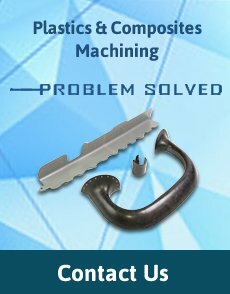 We specialize in machining complex plastic and composite parts. Our engineers are experts in plastics and will work with you to create the highest quality parts that meet your exact needs. Our plastics are used for a variety of industries, from aerospace to electronics to commercial applications. To learn more about our plastics and annealing process, contact us today or request a quote.